Coloplast's new Brava Elastic Barrier Strips are the newest addition to the line of products designed to control stomal fluid leakage and increase ostomy appliance wear time. The crescent shaped strips will cover the border of your skin barrier to ensure that its edges do not roll up. This provides a longer appliance wear time. 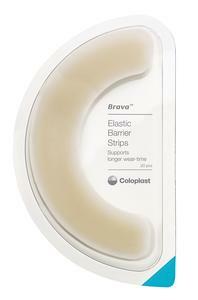 Coloplast's Brava Elastic Tape is used to hold the ostomy skin barrier or base plate in place for extra security and to extend ostomy appliance wear time. Each strip is five and one half inches (5-1/2") long. Skin-friendly strips provide extra security and support longer wear-time of an ostomy appliance. Elastic follows the contours of your body. Ensures the position of your barrier and minimizes roll-up. Skin-friendly and Latex-Free. 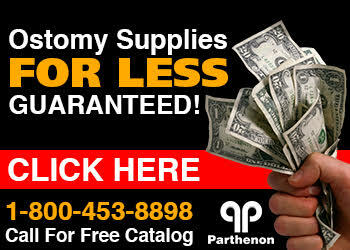 This and other Brava ostomy accessories can be purchased at The Parthenon Company.